How Flickr and Ustream.TV can be used in blogging! Apologies for not making as many traditional postings as usual. Nicholas (Yiannarakis), my partner, has been exhibiting at the Goldsmiths’ Fair 2008 and my daily attempt at helping on the stand has kept me from my laptop. Yet the number of my postings has probably remained at my usual rate – one a day at least. I have just had to revert to other, less time-consuming social media to keep going. So, what have I used, how has it worked and what have I learnt? God, I just love Flickr. My account had been bumbling along with not much more than an occasional photo here or there. This week, I have been taking photos of the show, sending them via my Blackberry to Flickr and then editing them on my return from the Fair in time to show Nicholas an ever lengthening but increasingly emotive slide show each evening. Also, great functionality to “share” the slide show with family and friends at the end of each day. And, added bonus, all pictures rise magically high up google! What a great way to live blog from an event or conference. 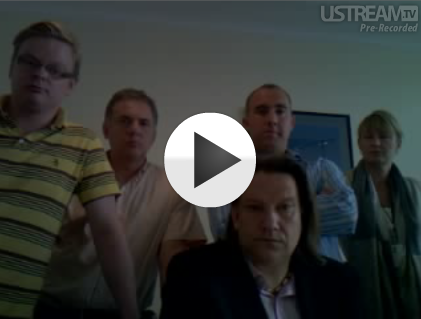 As I learnt on my recent trip to the US, short interviews with UBM colleagues via my Ustream.TV console is incredibly easy to film and post to this blog. The amazing part is to see the person or group stricken with terror as the webcam turns on and they see their own face in a video for the first time. Note how, if you play any of the videos, they soon begin to relax. However informal the content, names, companies and tags are just as important – you would not believe how many Google searches for UBM colleagues in the US end up on my site on a near daily basis. So get videoing and photographing when you just do not have the time to think, write and link a post! 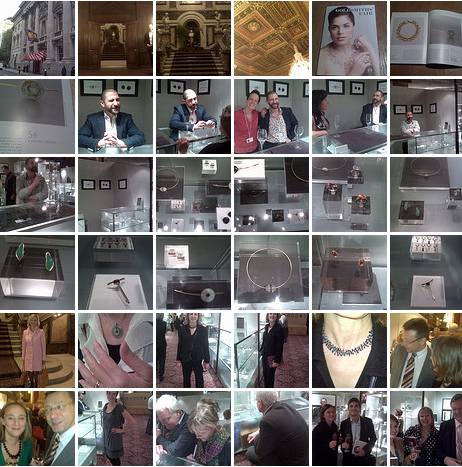 This entry was posted in Blogs and tagged Add new tag, Flickr, Goldsmiths' Fair 2008, ustream.tv. Bookmark the permalink.